What’s not to love? The main level features hardwood floors, spacious living and dining rooms, separate laundry/storage room and updates like fresh paint and some new trim. The upstairs has been remodeled to feature new flooring, a huge master suite with an attached bath and walk in closet, a sitting and/or play area and a 4th bedroom! Outside you’ll find and extra deep 2.5 car garage, a fenced in yard with no rear neighbors, fire pit, brick patio a newer front deck and many large mature trees. 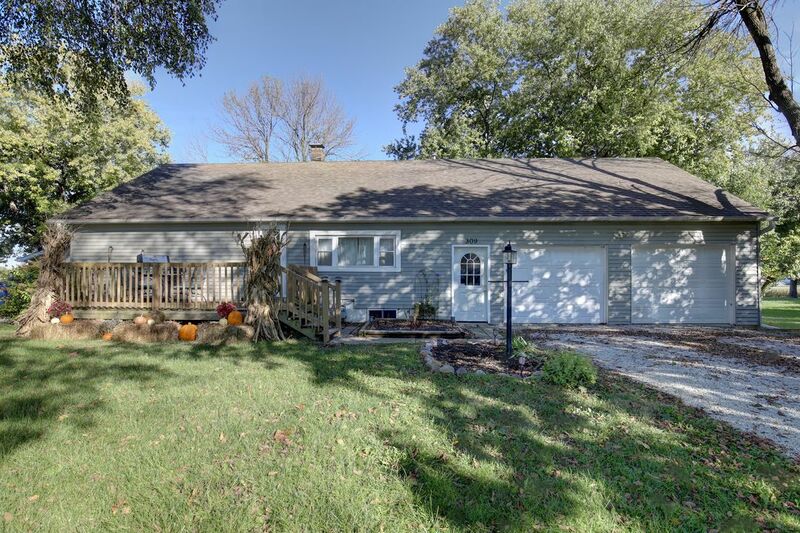 Additional one car detached garage for additional storage! Within a short distance to the schools!